France has a new culture minister—its fifth in six years—after Franck Riester was appointed by President Emmanuel Macron following a cabinet reshuffle. Riester replaces the former publisher Françoise Nyssen, who took up the post in May 2017. Riester represents the Seine-et-Marne constituency in the Ile de France region around Paris; he was a member of the party Les Republicains, formerly known as the centre-right UMP, before joining Macron’s coalition. Music and broadcasting is his speciality rather than the visual arts; in 2011, he submitted a report to the then Culture Minister Frédéric Mitterrand focused on Musical Composition and Diversity in the Digital Age. He has also campaigned for reform in the public broadcasting sector and has called for the creation of a “French BBC”. At his inauguration earlier this week, he praised some of Nyssen’s initiatives including a new culture pass whereby 18-year-old French citizens can download an app with a credit of €500 for cultural events. 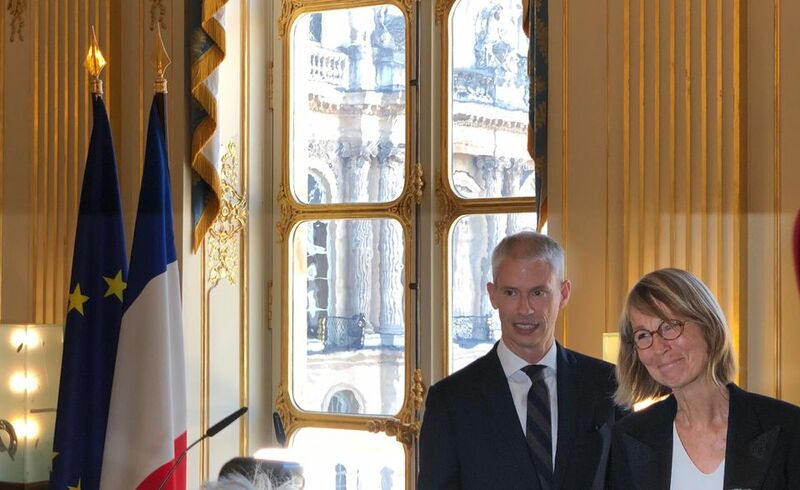 Riester also announced that he remained committed to the “Culture in your neighbourhood project”, highlighting the loan of a Picasso work this month to Coulommiers Museum in Seine-et-Marne. Nyssen has also campaigned for copyright reform in the European Parliament. “In Europe, cultural and creative industries represent 4.2% of European GDP. We cannot accept that creators have no control over how their work is used,” she said in a statement. Nyssen tweeted: “I pass you [Riester] the torch, reassured to know this ministry in good hands. And with the pride of having been able to take on major battles at the Ministry of Culture in the general interest [of the public]”. She adds that serving “those who are excluded and fighting cultural segregation” has been a priority.